Adults often wish they could give advice to their younger selves, especially when it comes to career and education choices. The Rutherford County Chamber of Commerce is hoping to accomplish this feat, in a way, through its industry-specific camps for area high school students. These camps are being held throughout the summer and are intended to expose students to the variety of career options available to them locally, especially those options that are high paying and in high demand. It’s newest camp — Supply Chain Management — was held last week. 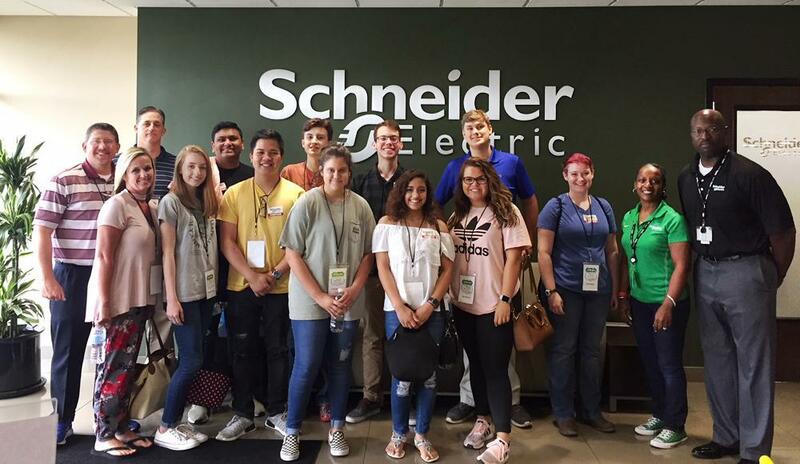 It included 10 students and five teacher participants who spent the week touring, problem-solving and completing hands-on activities at some of the largest manufacturers in Rutherford County, including Schneider Electric, Schwan Cosmetics, Nissan North America, Yoplait and Ingram Content Group. The Chamber has been working with industry representatives the past few years to assist with workforce needs. Simply put, many local companies are having difficulty finding qualified candidates to fill critical jobs. To that end, the Chamber helped organize five industry councils — Advanced Manufacturing, Supply Chain Management, Information Technology, Health Science and Construction — which are led by industry representatives and include members from Rutherford County Schools, local higher education institutions and the Chamber. The purpose of these councils is to develop education programs and career pipelines to help attract students to these high-need sectors. 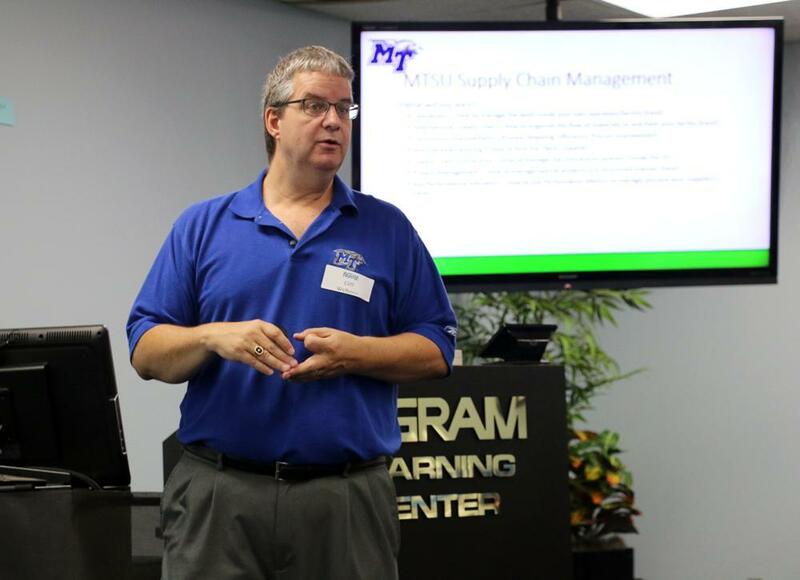 Supply chain management — which involves every step in manufacturing a product and delivering it to consumers — has been identified as one of the most in-demand jobs in Middle Tennessee. “Middle Tennessee is a distribution mecca because you can get products to 200 million people within eight hours,” said Tyra Pilgrim, Career and Technical Education coordinator for Rutherford County Schools. To help meet the demand for skilled workers, the school district is launching a supply chain management program of study at two high schools — Blackman and Stewarts Creek High School — for the upcoming school year. After high school, these students will then have the option of entering the job market immediately or pursuing a degree through one of the higher education institutions. In fact, some may be able to do both simultaneously. Jason Lozada has one semester to go at MTSU, where he is pursing a degree in supply chain management. He’s also interning at Ingram in LaVergne while completing his degree. He originally started out as a nursing student before he learned about the supply chain program and the benefits available to those graduates — including high wages and competitive hiring. Two RCS students who attended the camp are Aliya Elzarad, a senior from Blackman High School, and Jonathan Womble, a sophomore from Central Magnet School. For Elzarad, she learned that supply chain management is much more than logistics, which is a common misconception. Womble’s father works in the industry and encouraged his son to participate in the camp, he said. Professor Welborn provided information to the participants about the salary ranges available for those in the Supply Chain Management program. He said the salaries rival that of some medical professions and typically require only a bachelor’s degree. Depending on degree and experience, salaries in supply chain management range from about $45,000 to $136,000 annually. Those salaries reflect the demand for quality candidates. For every supply chain graduate, he said, there are six to nine unfilled openings. 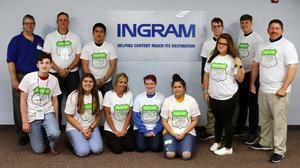 Ingram Human Resources Director Monica Winter said the company values and participates in programs like the Supply Chain Management Camp to both support the community and to cultivate a future generation of dedicated and qualified associates. 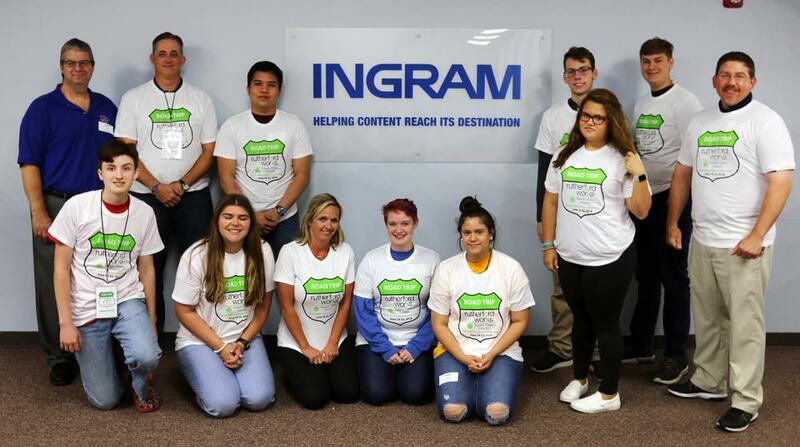 (1) Javan Smith and other students participating in the Supply Chain Management Camp create an infinity diagram as an exercise while visiting Ingram Content Group in La Vergne. (2) Dr. Cliff Welborn, a supply chain professor from MTSU, leads a discussion with camp participants. 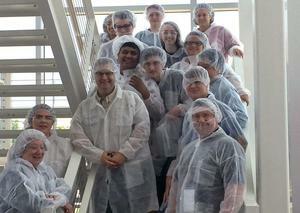 (3) Camp participants pose for a photo under the Ingram sign before loading a bus for a factory tour. 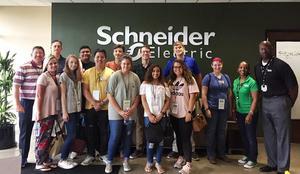 (4) Campers pose for a photo after visiting Schneider Electric in Murfreesboro. 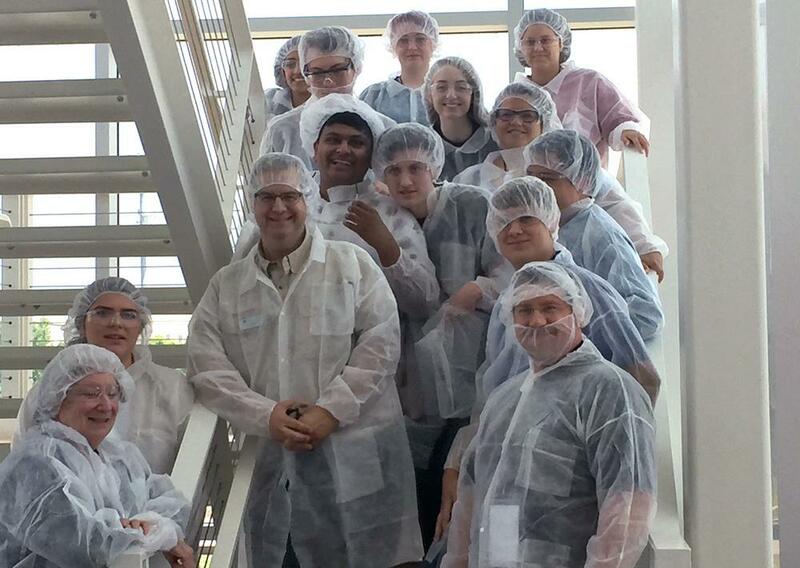 (5) Students and teachers participating in the Supply Chain Management Camp pose for a photo at Schwan Cosmetics in Murfreesboro. 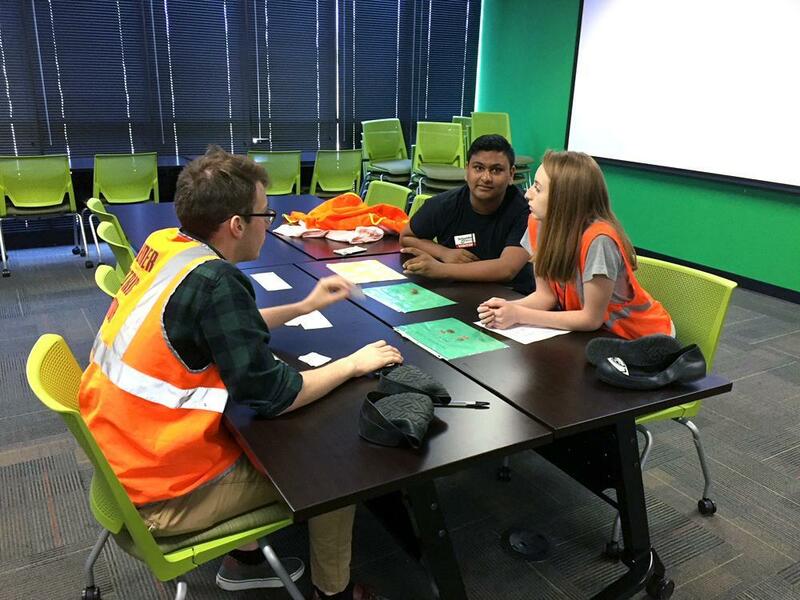 (6) Students complete an exercise while visiting Schneider Electric.